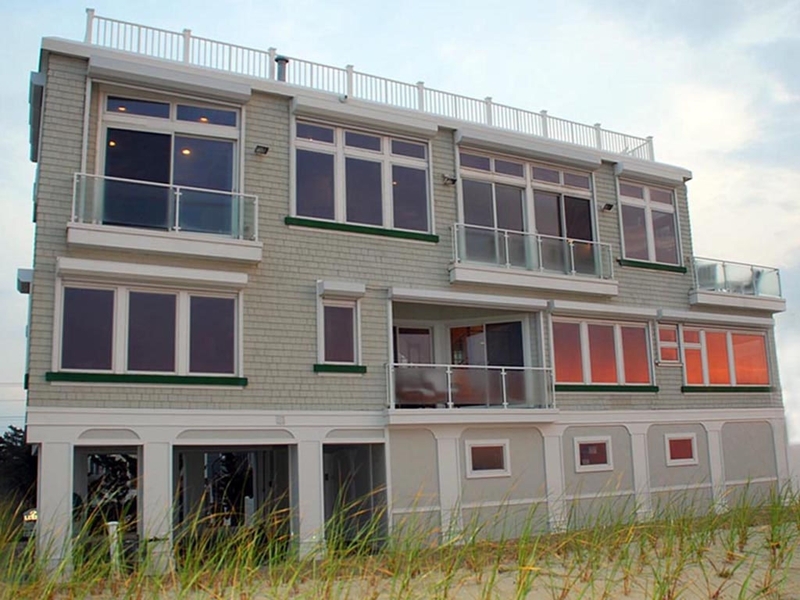 You'll understand why when you discover this magical oceanfront rising above the dunes. From tequila sunrises to deep purple evening skies, the perspectives are endlessly fascinating. Architect Oram Tonge called on every bit of his native knowledge in positioning the structure to capitalize on the shifting patterns of light and air throughout the seasons. Oceanfront living rooms anchor each level, one a summery melange of florals and natural materials, the other with a touch of the tropics. Four bedrooms, each en suite, five full and one half-bath easily support ten people. The beach home is served by an elegant and perfectly appointed prep area that invites family and guests to chat away while meals are created. Designer furnishings, every conceivable amenity, including an elevator and a six-person hot tub on the 360 degree view on the skydeck, complete the picture.